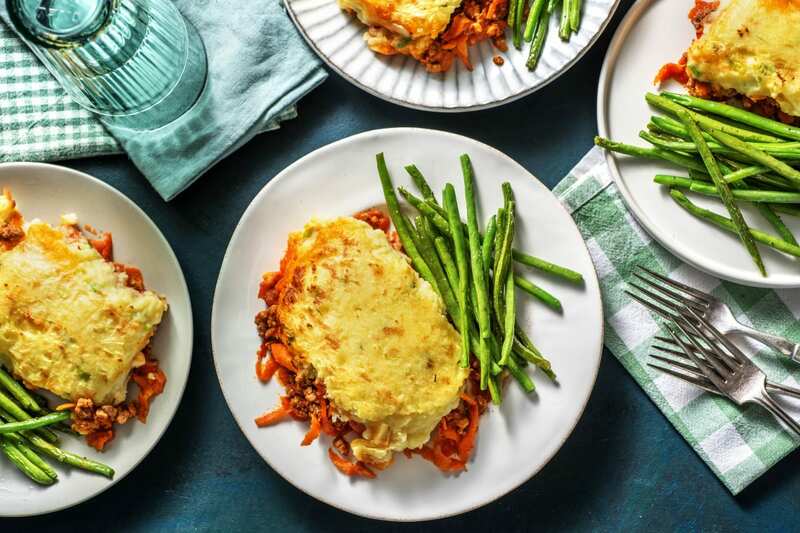 This warming and hearty Shepherd's Pie with Mash is bursting full of flavours and make the perfect dinner night option, from HelloFresh. Preheat your oven to 200°C. Bring a large saucepan of water up to the boil with a pinch of salt to the boil for the potato. Meanwhile, chop the potatoes into 2cm chunks (peel first if you prefer a smoother mash). Trim the carrot (no need to peel) and grate on the coarse side of your grater. Add the potatoes to the boiling water and cook until you can easily slip a knife through, 10-15 mins. Drain in a colander then return to the pan, off the heat. Meanwhile, heat a drizzle of oil in a large frying pan on high heat. 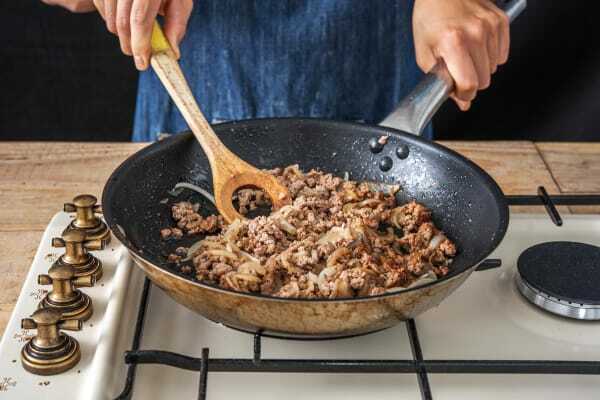 When hot, add the lamb mince, breaking it up with a wooden spoon, and fry, stirring, until brown, 4-5 mins. Stir the carrot into the lamb mince, then add the dried oregano. 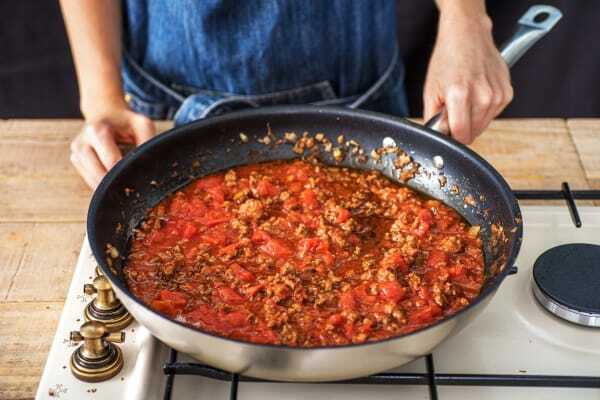 Pour in the finely chopped tomatoes, red wine stock pot and water (see ingredients for amount) and bring to the boil, stirring to dissolve the stock pot. Reduce the heat to medium and simmer until thick and tomatoey, 8-10 mins. 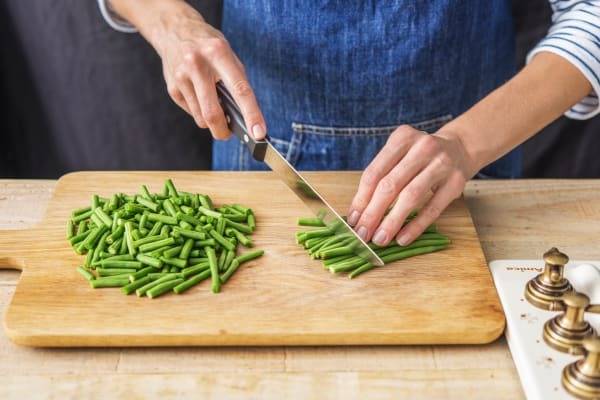 Meanwhile, trim the green beans. Thinly slice the spring onion. 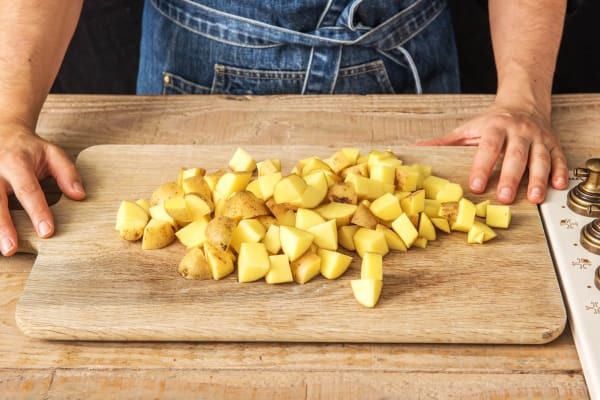 When the potato is cooked, add a knob of butter (if you have any) and a good pinch of salt and pepper. Mash the potato with a potato masher then fold through the spring onion. Pour the lamb mixture into an ovenproof dish. 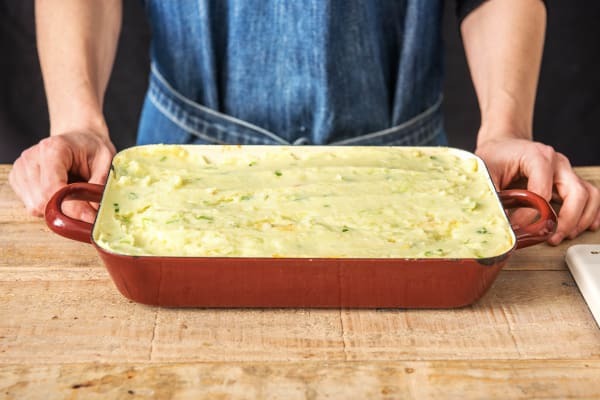 Spread the spring onion mash out on top, using the back of a spoon to ensure it covers the lamb mixture evenly. Bake until hot through and golden, 12-15 mins. While the pie bakes, quickly rinse out the lamb pan and return to medium heat. 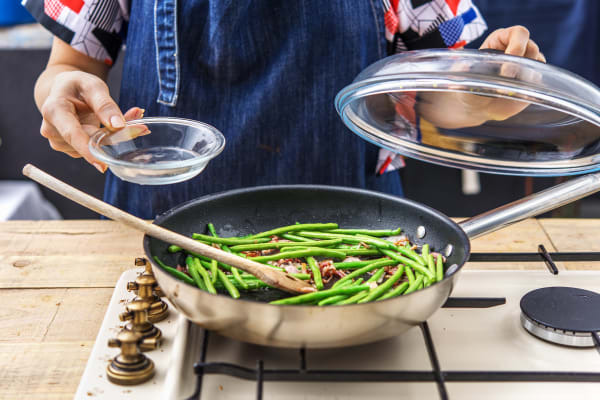 Add the green beans and a splash of water, then pop a lid (or some foil) on the pan and leave to steam-fry until the beans are just tender, 6-8 mins. Season with salt and pepper. Serve the shepherd's pie with the green beans alongside. Enjoy!